 Headline indices of the Australian financial market advanced for fourth straight session on Thursday, 07 February 2019, as investor sentiment was bolstered by indication of possible interest rate cut again this year. Nearly all sectors were up aside from utilities, with financials and materials being notable gainers. 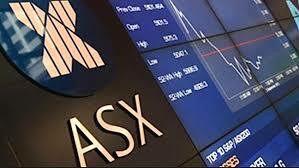 At closing bell, the benchmark S&P/ASX200 index added 66.32 points, or 1.1%, to 6,092.47 points, while the broader All Ordinaries index rose 67.25 points, or 1.1%, to 6,159.08 points. Financials advanced, with shares of the country's so-called Big Four Banks led rally. ANZ, CBA and Westpac were up between 1.7% and 2%. NAB shares were up 1.26% when it called a trading halt to announce chief executive Andrew Thorburn and chairman Dr Ken Henry would leave the bank. Shares of materials and resources surged, driven higher by a spike in iron ore prices following a dam disaster in Brazil. Vale, the owner of the dam that collapsed, has declared force majeure on a number of its iron ore contracts. Rio Tinto shares gained 1.34%, to a 10-year high, while Fortesque Metals shares gained 0.99%, reaching a two-year high. AGL Energy shares closed down 4.8% after announcing a $25 million upgrade to Victoria's Loy Yang coal-fired power station. ECONOMIC NEWS: Australia construction sector edged slightly higher with a Performance of Construction Index score of 43.1, although the sector continued to remain in contraction in January, the latest survey from the Australian Industry Group revealed on Thursday. That's up from 42.6 in December, although it remains well beneath the boom-or-bust line of 50 that separates expansion from contraction. CURRENCY: Australian Dollar appreciated against greenback and against a basket of other peers on Thursday. The Aussie dollar was buying 70.99 US cents, down from 71.09 cents on Wednesday.